How Strong Are Older Families' Financial Report Cards?How Strong Are Older Families' Financial Report Cards? 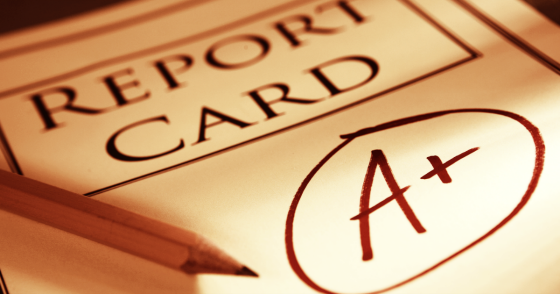 How Strong Are Older Families’ Financial Report Cards? Last week I discussed research showing the correlation between wealth and education. The Federal Reserve followed up with additional research about wealth and demographics, the subject of this post. More specifically, wealth and age. Not surprisingly, the older a household is the more wealth has been generated since people have had more time to save and invest. There is some very good advice that comes from the research, however, which discusses the optimal management of one’s assets and liabilities. Lower leverage (debt-to-assets ratio) can lead to greater wealth on average over time both because borrowing itself is expensive and because balance-sheet leverage amplifies any shock to a family’s asset values into larger percent changes in net worth, raising the risk of insolvency and of costly default on debt or other obligations. Notice that all of the suggestions are designed to create a large margin of safety to handle financial shocks and to lessen the chance of them happening through proper diversification and debt management. We try to follow this advice in how we manage our investments and business at CWS as well as in my personal life. Here are some of the quantitative differences in some of the key metrics in terms of measuring financial safety. Older families got to where they are today by saving during their peak earning phase in middle age as well as because of prudent balance sheet management by building up cash reserves to cushion against a financial setback. In addition, they have tended to diversify beyond housing and durable goods into financial and business assets. Did you save any money last year? Did you miss any payments on any obligations in the past year? Did you have a balance on your credit card after the last payment was due? Including all of your assets, was more than 10 percent of the value in liquid assets? Is your total debt service (principal and interest) less than 40 percent of your income? Clearly the older families have shown the highest average financial health over the 22 year period which is not surprising given their stronger balance sheet and liquid assets. This is a great scorecard for all of us to follow to improve our accumulation of financial assets over the years and to help lessen the probability of a financial issue sinking the ship. How is your financial health scorecard? In the example above, did you have more zero’s or ones? ‹ Do College-Educated Parents Have Higher Earning Kids?